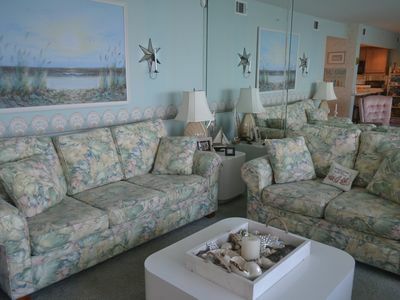 The Beach House - Act fast, for best spring availability. 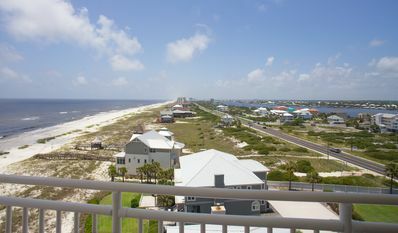 Features: Beach Chair & Umbrella (Seasonal – Free) / Pet-Friendly / DVD Rentals – Free / Free Wi-Fi. 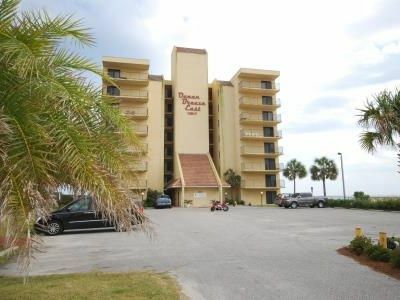 The Beach House - Townhomes at Lost Key is professionally managed by ResortQuest by Wyndham Vacation Rentals. 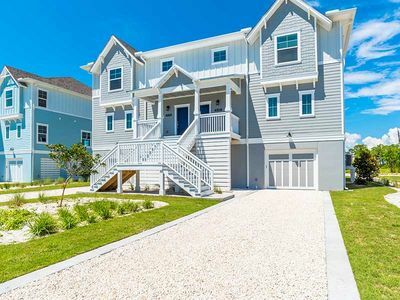 The Beach House at Lost Key (4593) is a stunning three-bedroom, three-bath townhome located in the wonderful Lost Key Golf & Beach Club community, only about 1.5 miles from the Gulf of Mexico. 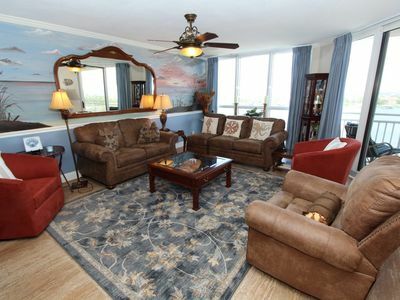 This lovely townhome accommodates up to 11 guests comfortably, with a king-sized bed in the master bedroom, a queen-sized bed in one guest bedroom, two sets of bunk beds (4 twin beds) in the additional guest bedroom, as well as a queen sleeper sofa and twin sleeper chair in the living area. Enjoy the two-car garage, along with a large driveway, providing space to park multiple cars. Up the stairs to the main level, you will find the living area, dining area, and fully-equipped kitchen, with plenty of room to spread out. 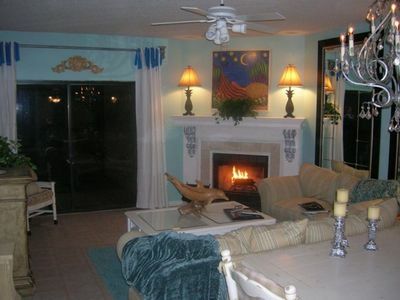 The living area is near the stairs, boasting a homey ambiance, along with a large Roku Smart television and DVD player. Step out onto the large balcony, featuring plenty of seating and lovely views of the surrounding area. Next, to the living room, you will find the dining area with a dining table that includes seating for up to 11, which is ideal for enjoying a family meal together. 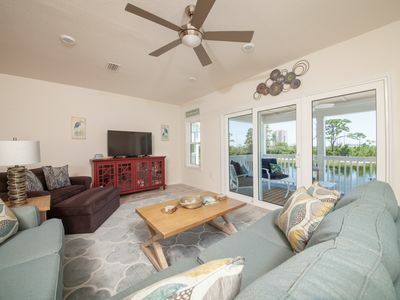 The fully-equipped kitchen features all the utensils and appliances needed to create your own meals while on vacation, along with plenty of storage space. 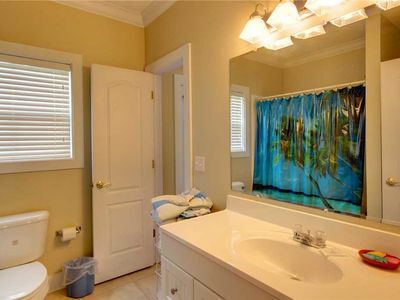 There is also a separate half-bath on this floor, for added convenience. Take the stairs to the top floor, which includes the three bedrooms, each with their own Roku Smart television. 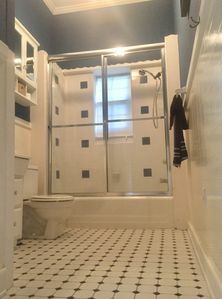 The master bedroom leads into an en-suite master bath, with a double vanity and a spacious walk-in shower. The two guest bedrooms share a guest bath, boasting a single vanity and tub/shower combination. Enjoy the added convenience of having a washer and dryer combination, allowing you and your family to pack light, perfect for bringing plenty of souvenirs home. 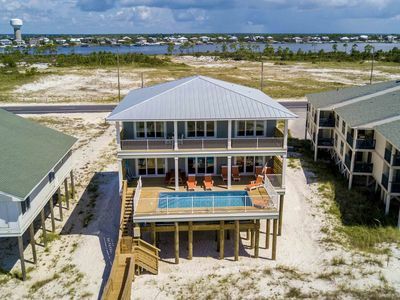 The Beach House at Lost Key can easily become your go-to vacation destination for years to come when you visit the beautiful beaches of Perdido Key. 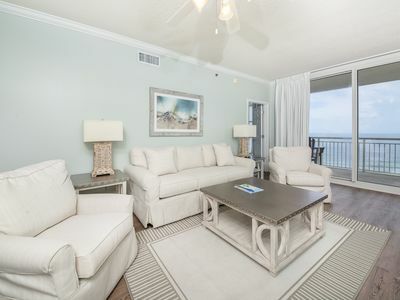 This gorgeous townhome is located in Lost Key Golf & Beach Club, a premier private, master-planned island resort community with a 24-hour staffed gate, an 18-hole Arnold Palmer Championship Golf Course, a Golf Clubhouse with a restaurant, pool and fitness, tennis, and an amazing Beach Club with restaurant, pool, and private beach access. 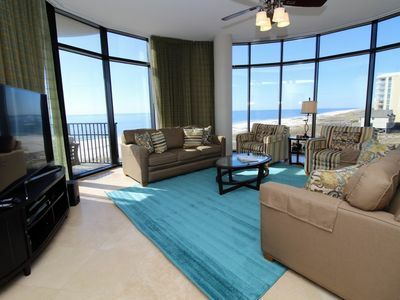 Come experience a unique and unparalleled vacation when you stay at Lost Key Golf & Beach Club, as this luxurious property is the only property in Perdido Key offering both golf and beach amenities, exclusively to its owners and guests. This quiet and peaceful community is also great for biking and walking the nature trails. 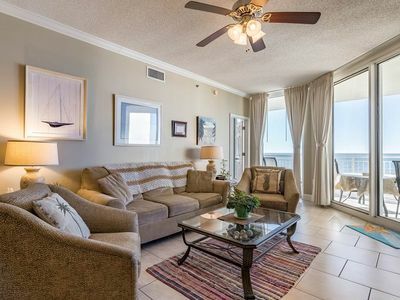 Take advantage of the free beach shuttle service that runs Thursday through Tuesday, taking you directly to the renowned sugar-white beaches of the Gulf of Mexico and our private Beach Club. The Beach Club is located directly on the beach, serving fantastic food and beverages at a reasonable price. Enjoy the added convenience of a summertime beachside and year-round poolside food and beverage delivery service. 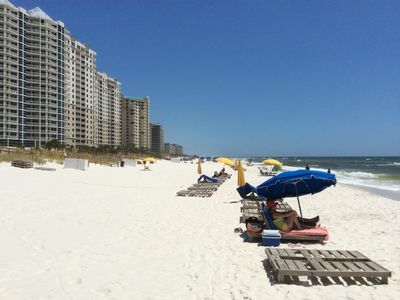 Dip your toes in the sand and relax with the complimentary beach chair and umbrella rentals, as well. Although the Beach Club restaurant and beach chair service is closed on Wednesdays, you can still access the gorgeous private beach, allowing you and your family to soak up the sun during your whole stay. 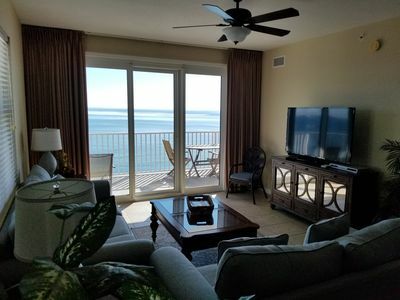 Lost Key Golf & Beach Club truly provides that picture-perfect beach vacation feel, so stay in this lovely vacation home and get ready to create plenty of lasting memories with your loved ones! 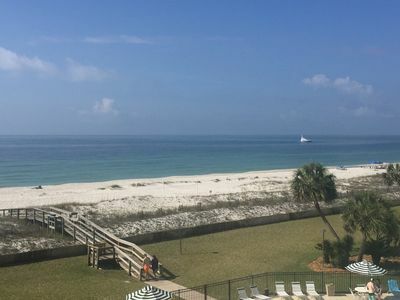 Aside from the variety of amenities, the Lost Key Golf & Beach Club has to offer, enjoy many local activities including concerts at the Wharf Amphitheatre, venture over to Flora-Bama for a night out, or head over to Johnson's beach for some fun in the sun. 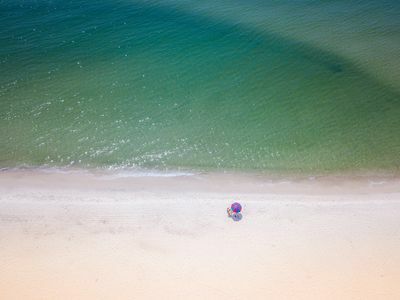 Be sure to try the local restaurants, including the world-famous gumbo at Flora-Bama Yacht Club or head over to the Yard Milkshake Bar in Gulf Shores with the whole family. For a family fun day out, travel to the OWA Amusement Park in Foley, Alabama, just over a half hour from Lost Key Golf & Beach Club. Palacio 0806 - Book your spring getaway! Windemere 1003-Beach View From Terrace with Luxurious Interior! 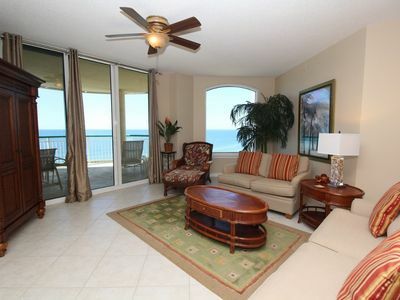 SeaSpray Riverside 815- Bay Views from Terrace with Coastal Interior! 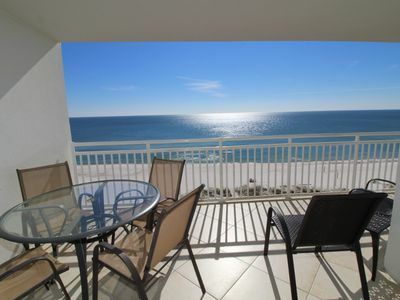 Beach Colony East 9C- Beach Front unit with large terrace & amazing views! Great Springs Rates for nights left in April/May! Book Now! Palacio 0604 - Book your spring getaway! 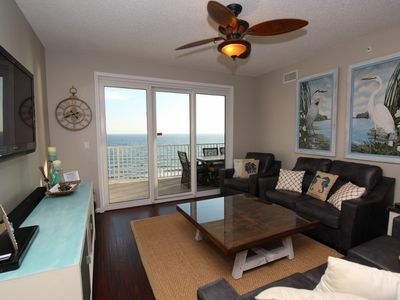 STUNNING Beach Home | Directly on the Beach with Private Pool and Boardwalk! 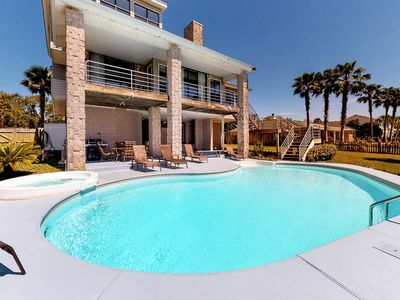 Upscale waterfront home w/ private pool, boat lift & covered patio!